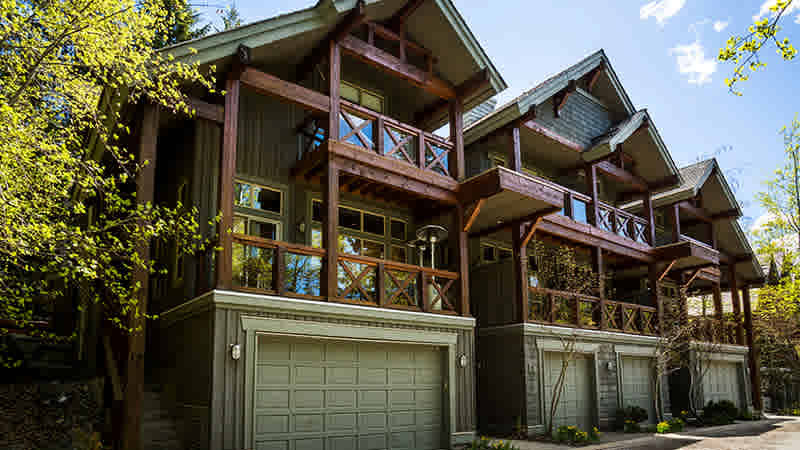 Located in a quiet forested setting close to the Fairmont Chateau Whistler Golf Course, Lost Lake cross-country ski trails and the Valley Trail system. The Upper Village and base of Blackcomb Mountain are just a 12 minute walk away or you can use the free shuttle to the lifts. These large luxury townhomes feature fully equipped kitchens, private patios and private outdoor hot tubs. Enjoy the peaceful setting and views of the golf course and Rainbow Mountain.